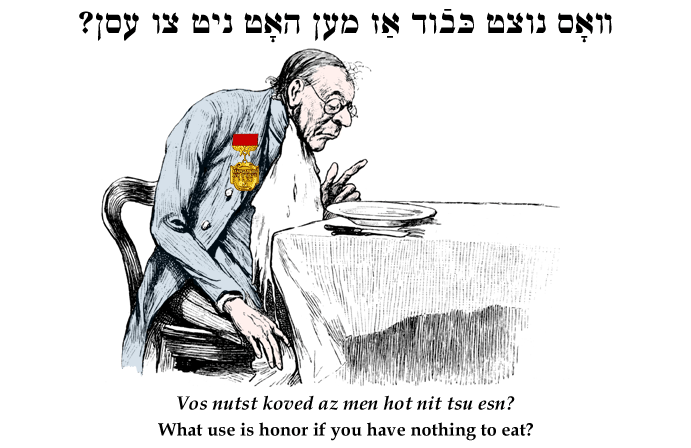 Yiddish Wit: What use is honor if you have nothing to eat? וואָס נוצט כּבֿוד אַז מען האָט ניט צו עסן? Vos nutst koved az men hot nit tsu esn? What use is honor if you have nothing to eat?